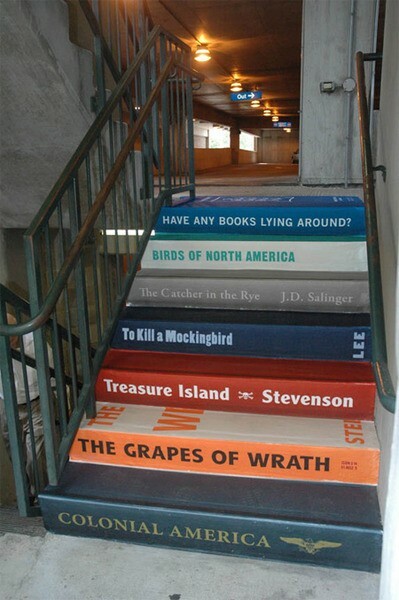 I saw this image of steps made to look like books on tumblr today, and I was so taken by the idea that I had to use my google fu to find out more! 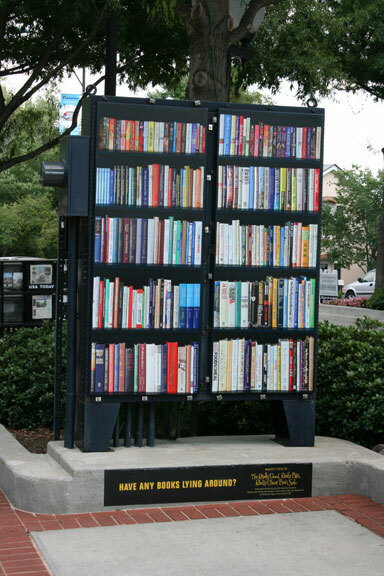 Turns out this is the work of the bounce agency, an advertising firm which was tasked to drum up interest in a charity book sale for the Greenville Literary Association. 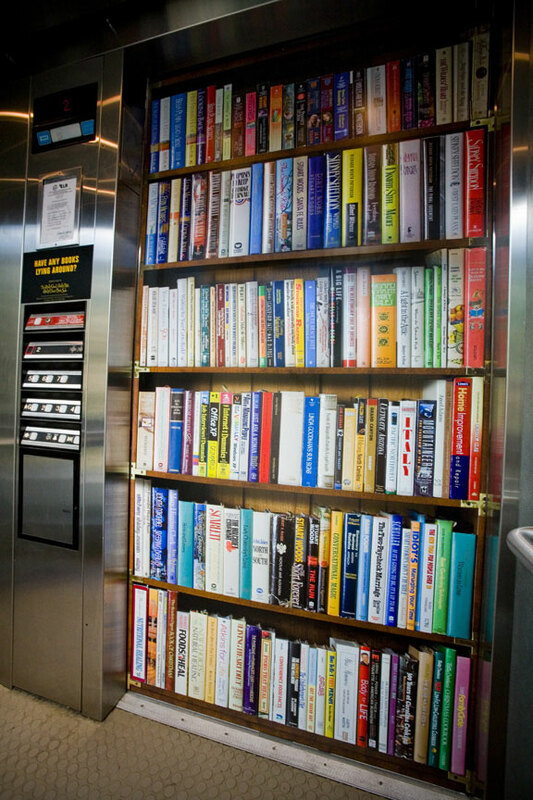 They wrapped things like the stairs above, as well as junction boxes, elevator doors and a fountain around Greenville, South Carolina with images of books to create awareness for both donating and buying books for the sale. Click here for more images and video (be sure to keep clicking the arrows to see all the pictures). This entry was posted in Uncategorized and tagged used book sales by janicu. Bookmark the permalink. These are all so cool! “Hey Bookworms, it’s feeding time” Hahahaha. Thanks for sharing what you found through your Google skillz. I know! 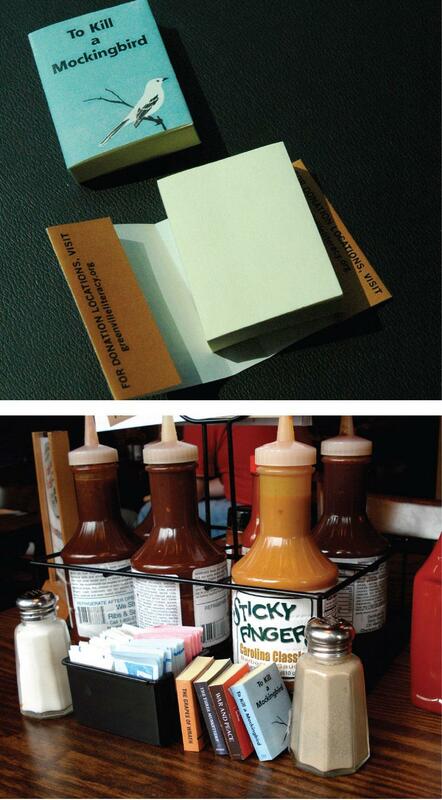 I want mini books, all in a row like that. Too cute.